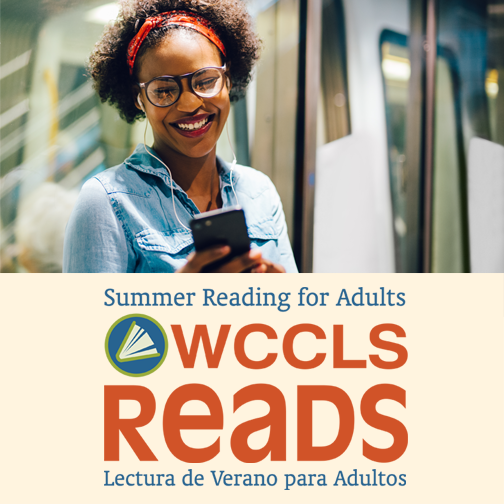 WCCLS: News & Events: Summer Reading Starts June 1st – Something for Everyone! Summer Reading Starts June 1st – Something for Everyone! Librarians across Washington County have been hard at work preparing for the 2018 Washington County Cooperative Library Services (WCCLS) Summer Reading program, and it all starts on Friday, June 1. We invite you to stop by your library and experience a summer of FUN! Loaded with a massive library of video games, a climate controlled game theater is pulling up to your local WCCLS library this summer! Join Game Truck for a round of laser tag. Enjoy life-sized Jenga and other games while you wait your turn at each event! Dates and times are listed on our website (www.wccls.org/tsrp). And WCCLS libraries make the summer fun for adults with great events, fun prizes for book lovers, and perfect book suggestions in your inbox. Share your favorite reads, connect to your community, and make new friends. WCCLS libraries are hosting a slew of events for adults – for details check out the fun at www.wccls.org/calendar. Sign up online at wccls.org/asrp or at your library through July 31.